If you’ve ever booked a hotel or bought a plane ticket online, you must have noticed similar offers “following” you around shortly after on your social networks and other pages you visit – even if you didn’t buy the ticket or if you’re already back from the trip. You may think it’s only coincidence. You may think that these ads were always there and you just hadn’t noticed them. But no, they are not there by chance. Congratulations, you have just experienced retargeting for yourself. Wait a second… wasn’t this what we used to call remarketing? What’s the difference? And which one is better? Not only will we answer all of these questions in today’s post, but we’ll also explain how to use one of the most powerful types of retargeting. What is retargeting in an e-commerce? 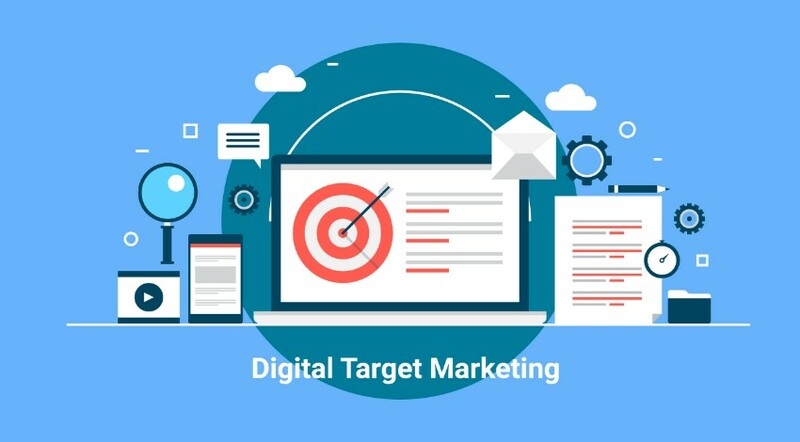 Retargeting is a digital marketing strategy that involves having a new impact on users who previously interacted with your website by sending them ads. Not so long ago we talked about the benefits of creating a remarketing strategy. What was remarketing? It was using ads to get clients who visited your website to come back. So are they the same thing? For many people, these two concepts are the same. You can see how people use them interchangeably to talk about the same thing in many posts online. Nevertheless, the truth is that there are actually some differences. Remarketing is a broader concept than retargeting. Remarketing can be used to talk about any strategy used to get a client back (both offline and online). Conversely, retargeting is 100% focused on the digital realm. The misunderstanding originated in part because of Google calling this type of retargeting on its ads platform “remarketing”. Nowadays, in the online world, you will hear both remarketing and retargeting when talking about the same strategy (targeting clients who interacted with your website), even though the truth is that they are not the same. We could say that retargeting is a type of remarketing. Have a good look at this because it’s important. This is the classic method, the one that you read about when searching for remarketing or retargeting. Users enter your shop and, right away, they have ads following them. Where can ads follow clients? Social retargeting: Ads will be shown on their social networks such as Facebook, Instagram, LinkedIn, or Twitter. Search retargeting: The ads that can be found all around the display network: Google results, YouTube, other websites, and so on. This one is similar to the previous example, but with one small difference. While “standard” retargeting sends ads when people enter your e-commerce, dynamic retargeting sends specific ads to users who have visited specific pages (a product card, for example). Pay attention because we’re talking about a whole different concept with this one. Email retargeting is sending personalized emails or autoresponder emails depending on the interactions that users have had with your shop or with other emails. That’s why we want to focus this post on explaining how to include the third strategy that we’ve mentioned: email retargeting. Let’s see what you’ll have to prepare. Have a look at the pop-up that shows up on one of our clients’ websites (Le Creuset). In this case, in exchange for subscribing, Le Creuset offers users the possibility of downloading some recipes. That’s what a lead magnet is, a gift that you offer in exchange for their email. A discount (the most common, but not the best). Participating in a webinar or online class. An eBook or PDF guide. We advise against offering a discount at the beginning. What you are looking for is to establish a connection with that person to convert them into a client. You want to foster loyalty to your brand and to increase engagement. Where do all those user details go? To an email marketing provider, that’s where. That is to say, to a platform where you keep user contact information and from which you can send them emails. If you use a CRM, it may already offer you marketing automation options in order to send personalized emails if certain characteristics are met (don’t worry about this for now – we’ll talk about it later). One of the most important elements of a successful email retargeting strategy is segmenting your list. Do you have a sports shop? If so, segment it by the specific sports that each person interested in. Did they buy a camera? Segment it by interest. Do you have an animals shop? Do it based on which animal they have as a pet. Clothes? By women’s or men’s. This way you’ll be able to send newsletters with information that actually interests then, which will lead to an improved conversion rate. Within email retargeting is the option to send specific emails if users visit certain pages on your website. For this to work, they need to have registered previously. That’s how you’re able to send a specific email to a person who has visited a product several times or who has abandoned their shopping cart. In order to do this, you will have to install a follow-up pixel (given by your provider) in your online shop. Now let’s start talking about the practical side of all this. You add something to your cart and are about to pay, but then the phone rings. It’s a friend with whom you haven’t talked in a while and you spend a long time on the phone… and forget about what you were buying. Asks if you have doubts. Gives you the option to speak with customer service. Gives you a 5% discount to encourage you to make the purchase. Reminds you that there’s free shipping and that the product will arrive in 2 days. We tend to forget about those who have already made purchases, which is a terrible mistake. Let’s go back to the example we used before. Imagine that you have a tech shop and that someone has just bought a camera. Besides tagging that person as “interested in photography”, you noticed that they bought a DSLR with the default lens included in every pack. In the following months, you send them emails about the different types of lenses and what type of pictures you can take with each of them. The tool notices that they have clicked on everything related to macro lenses, so you send them another email with a discount for macro lenses only for repeat customers. The possibilities of cross-selling with email retargeting are endless. Email marketing tools aren’t free (though some may be up to a certain number of users), so it’s useless to have thousands of email addresses of people who don’t even open them. Thanks to email retargeting, you’ll know who does and doesn’t open your campaigns and you can send them emails to ask if they want to keep their subscription. The last post that you published. Whatever it takes, as long as it recaptures attention and fosters loyalty. This is a rather interesting idea and we’ll go back to the camera example again. Differences between SLR, EVIL, and bridge cameras. And in all of them you offer a free guide about the pros and cons of each of the most well-known cameras. Don’t you think that people reading those posts and downloading the guide would be pretty interested in buying a camera? Then what could be better than sending them some emails with more information about the camera they are interested in along with a small discount? Retargeting (or remarketing) is a very powerful tool that you have to use, no matter what, to increase sales in your online shop. In addition, when using email retargeting, you will also help to improve user experience and foster loyalty. Those are more than enough reasons to use it, don’t you think?